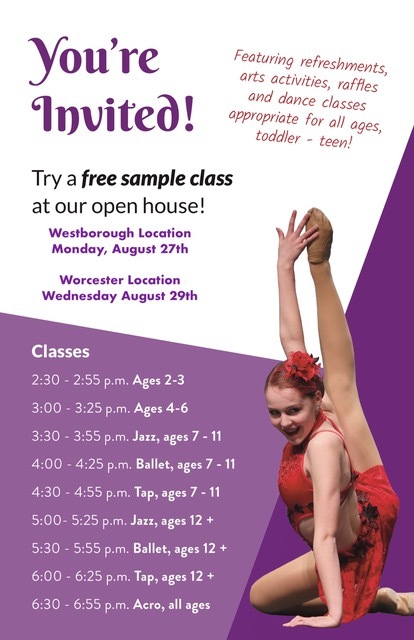 Try a free sample class at our open house! We recently asked teacher Lindsey Leduc a few questions about her dance career and philosophy. Get to know her a little better by reading her answers below. 1. What was your favorite moment in your personal dance career? There were many special moments during my performing career, but some of the sweetest were very early on. When I was in the second company, a dancer in the main company got injured, and I got propelled into her position with about five minutes to prepare. The company rallied around me and I nailed it. It was magical. 2. How long have you been teaching at CKDC? I’ve been teaching for 5 years at CKDC. 3. 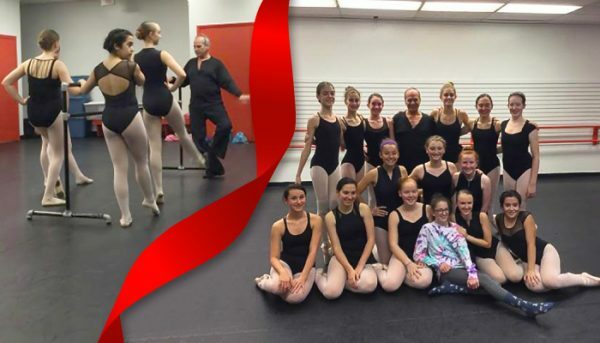 What do you love about teaching at CKDC? I love the connection I have with the legacy of CKDC and the relationship and like-mindedness I share with Rachel, the Director. I love how hungry and passionate the Company dancers are. They are always a highlight of my week. 4. Do you have any positive advice for dancers? I have so much to share with my students and am constantly evolving and re-inspired. I like to remind and reveal to them their worth, value and uniqueness—and also that celebrating others is a reflection of celebrating yourself. 5. Who was your inspiration growing up as a dancer? I didn’t have one role model growing up. This was before YouTube and SYTYCD. I looked up the older dancers at my studio and my teachers. And always the talented friends around me. 6. What is your favorite dance quote? Now’s Your Chance to Join Pre-K Dance! Our super popular Pre-K Dance Class (for boys and girls who are 4 years old) filled up fast this season in Worcester. So, we added a brand new class to meet the demand. It is just starting this December, so make sure to give us a call or sign up online to grab a spot for your little boy or girl. Pre-K Dance is a great class for teaching coordination, rhythmic movement and the early foundations of tap dance, ballet and jazz. Plus, it’s so much fun for the children involved and for the parents to see how much their kids can learn and grow through dance. I have had so many wonderful experiences in my dance career, but I think that being part of the closing ceremonies in the 1992 Olympics in Barcelona was the most exciting on so many levels. Playing on the Mediterranean beaches, hearing the National Anthem while standing next to the Olympic torch, sharing the field and hanging with the athletes after the performance…it was all pretty incredible. At CKDC, all of the teachers work to give the students a good foundation. I love that I have a great team to work with, and I am always amazed at the creativity and talent that surrounds me at “work”. 4. Positive Advice for dancers? There are so many aspects to dance. The muscular training, musicality, performance, artistry, and so much more…and all of the aspects are forever evolving. Allow yourself to reach beyond your comfort zone, and you will be amazed at what is waiting to be discovered inside of you! Growing up, my inspiration was ANYONE I saw on stage or in a film dancing. I loved the thought of being on stage with the lights and the costumes and hearing the audience applaud. For 2017 we kick off the Teacher Spotlight with the one and only Ann-Marie Carlomango. Learn more about this lovely lady here! I have so many favorite moments but I guess if I had to choose one it would be when I was first asked to judge a dance competition and teach master classes at the same event. I thought, “wow, this is pretty exciting to be recognized in this way!” It was an honor. I am happy to say that I continue to judge and teach master classes throughout the USA. Let’s just say I have been teaching 30+ years! But this is actually my 35th year! 4. Can you share positive advice for dancers? The lessons the students are learning are not just related to dance class. They are life lessons that they will carry with them forever. Dedication, determination, self discipline and effort are all characteristics that they will need to be successful in life. I tell my students to always follow their dreams and to NEVER give up….remember why you started in the first place. If you want it bad enough, you can make it happen! Believe in yourself because I believe in you! I had two people that I looked up to with the utmost respect. One was Sherry Gold, who was an amazing choreographer/teacher who inspired me to push myself and my creativity to the limit. The second was Gus Giordano, a world-renowned teacher of American jazz. I studied with him for several years, learning the Giordano Technique that I now implement on my students. My favorite quote comes from Martha Graham: “Great dancers are not great because of their technique; they are great because of their passion.” To me, passion always shines through first! CKDC dancers have a wonderful weekend at Headliners Dance Competition. Congratulations to all dancers who attended. Wednesday Night Take Over of our Worcester with Marlana Walsh Doyle! CKDC alum Marlana Walsh Doyle is coming to our Worcester studio for a night of dance. Marlana graduated from Point Park University with a BA in Dance before joining the Houston METdance company in 2003, where she is now the artistic director. We are looking forward to her vision and leadership during this takeover. Guest Class with CKDC alum Guy Amir on 12/23! Guy Amir began his dance career at the age of seven right here at the CKDC in Worcester. Studying tap, ballet, modern and hip hop, Guy received his BFA from the University of Arizona in 2012 and moved to Los Angeles to pursue dance. He has worked with top choreographers and appeared on a number of TV shows and commercials. His most recent work was choreographing for the Nickelodeon Halo awards. recently choreographed for the Nickelodeon Halo awards. This month’s spotlight is on the one and only Clyde Nantais. If you or your child have yet to work with this passionate dancer, get to know him a little bit more here. What was your favorite moment in your personal dance career? Probably getting accepted into the Boston Ballet and dancing with them for 7 years. How long have you been teaching at CKDC? What do you love about teaching at CKDC? I love teaching the students. They are so young and full of life and I really believe that helps keep me young also. I love working with the exceptionally talented faculty who are really devoted to the art form, to the students and to the school. Can you share positive advice for dancers? Live your dreams. With hard work, commitment, consistency and dedication to your goals, anything is possible. Who was your inspiration growing up as a dancer? Rudolph Nureyev, an incredible Russian dancer who defected to the West and took the ballet world by storm. He was amazing on stage. What is your favorite dance quote? It’s that time of year again – Parent Observation Weeks have begun for all classes with the exception of our competition team lessons. You are invited to bring your cameras along with you but please remember that you will be required to remove your street shoes inside the studio. Check out the schedules below to see when your visit is up.